The National Park Service is pleased to announce that the award-winning “PRISONERS OF AGE” exhibition will be extended through June 2016. This special display was designed by photographer Ron Levine and designers Michael Wou and Russel Volckmann and will be on view for an additional six months due to the overwhelming response from visitors to the island. 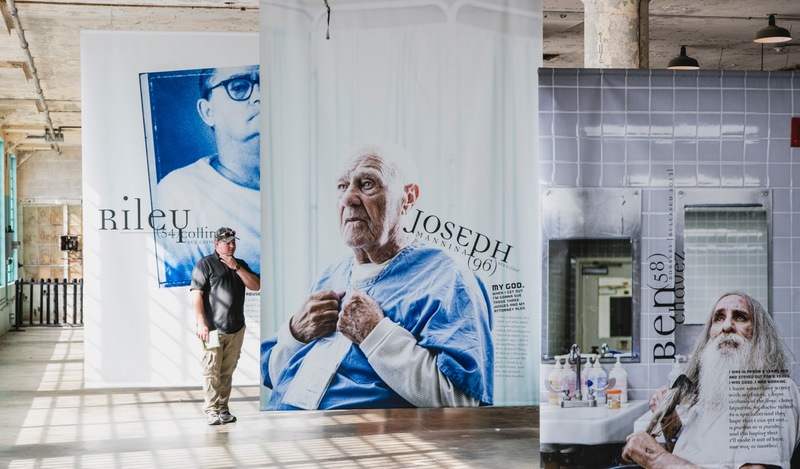 This exhibit marks the next in a series on Alcatraz that focuses on aspects of crime and punishment, incarceration, freedom and social justice. “PRISONERS OF AGE” is an evocative series of photographs and chronicles of elderly men and women, taken over a period of 18 years, at prisons and prison-wards for geriatric offenders in the United States and Canada. Prisoners of age comprise the fastest growing age group in the United States. One-in-ten inmates is 55 or older. A decade ago, that was one-in-twenty. Existing prison space is in serious decline and medical costs are soaring. Incarcerating geriatric men and women in prison is becoming prohibitively expensive- up to 9 times the cost of a younger inmate. As Federal and State prisons begin to look more like high security nursing homes, the people who manage North America’s prison system worry about how to handle the imminent explosion in the geriatric population. Through photography and interviews, “PRISONERS OF AGE” offers a microcosmic glimpse of what lies ahead in this new millennium. The exhibition features 60 larger than life photographs and revealing narratives from conversations with the inmates, guards and prison officials. The exhibition is designed by Michael Wou and Russell Volckmann. 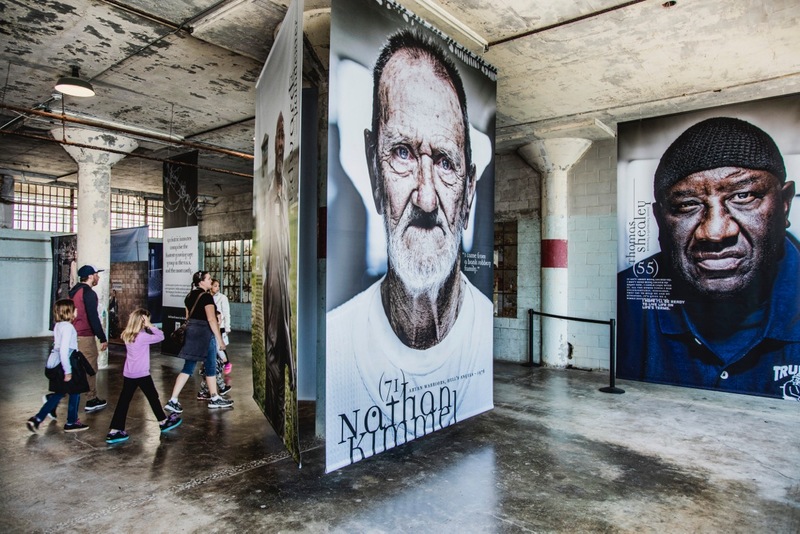 The exhibit is displayed in the New Industries Building through December 2015 and will be open to the public visiting Alcatraz Island during daytime hours for no extra charge. Exhibit hours are 10:00am to 2:00pm. Storms or heavy rain could cause the exhibit to temporarily close. For additional information, please call NPS Alcatraz at 415-561-4900.